A different post from me today but one which is guaranteed to get you into the festive spirit! Earlier this week my Mum and I braved the early morning fog to visit my local Christmas tree farm to get a beautiful handmade wreath. I am lucky enough to live near the Welford Christmas Tree Farm, just off junction 1 of the A14, who has supplied award winning trees and wreaths to the likes of 10, Downing Street. 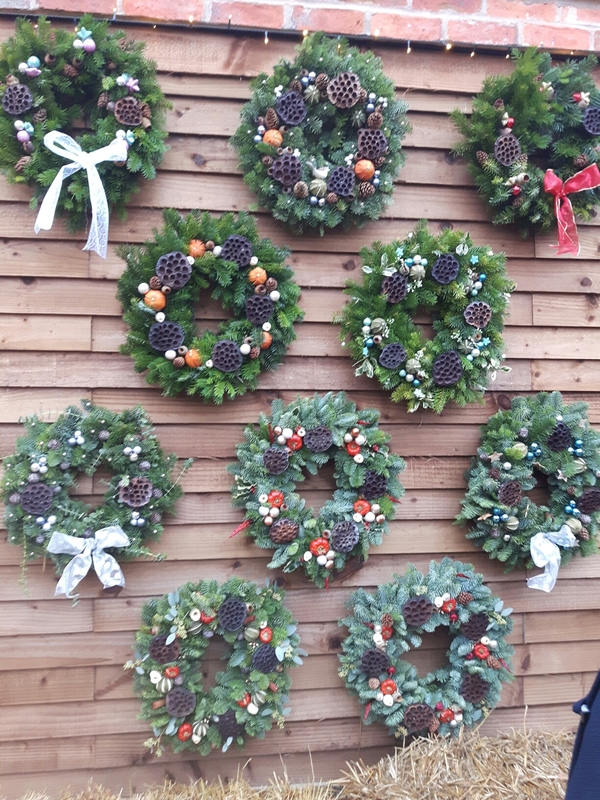 All the staff are friendly and helpful as nothing is too much bother; they will even make wreaths to order if there isn’t one to suit your needs. 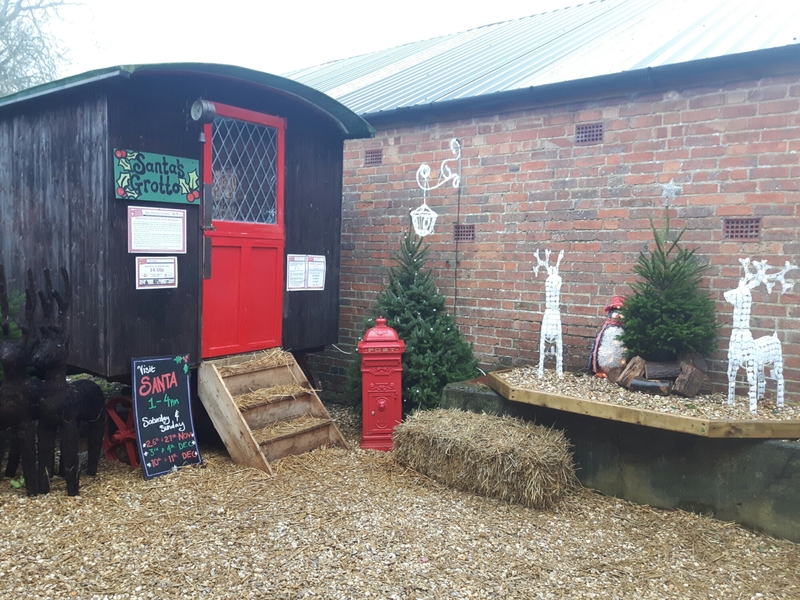 Not only do they have beautiful trees, stunning wreaths and Christmas foliage but they also have a small shop selling lovely decorations and local crafts, Santa’s grotto, a children’s craft table and farm animals. All this as well as a complimentary mince pie and mulled wine while you browse! Now, if being surrounded by Christmas trees and playing with Reindeer and Donkey’s doesn’t fill you with Christmas cheer then I fear nothing else will! It’s a great place for the whole family and there is plenty of free parking to cater for the Christmas rush. 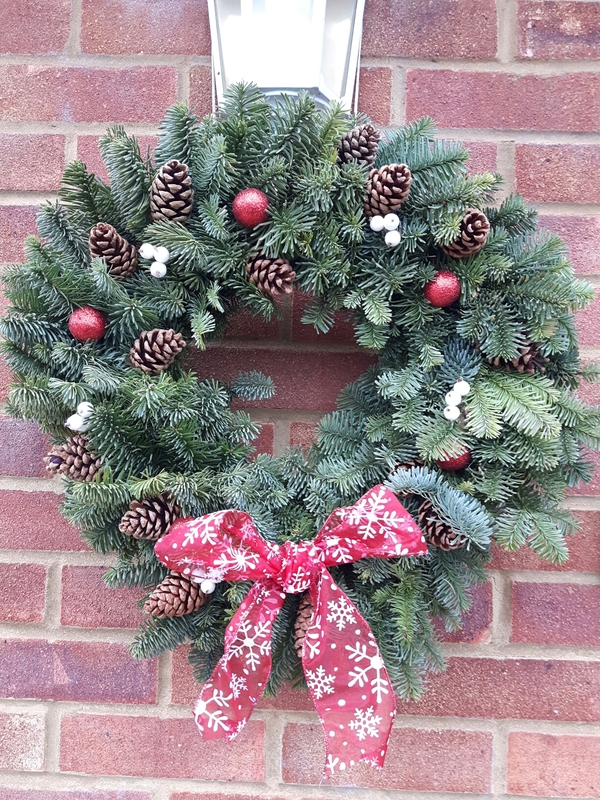 The chosen wreath is proudly hung in place and it’s arrival certainly starts the countdown to Christmas! If you are planning a visit, don’t forget your wellies and warm coat! Head over to www.welfordchristmastreefarm.co.uk for more information.